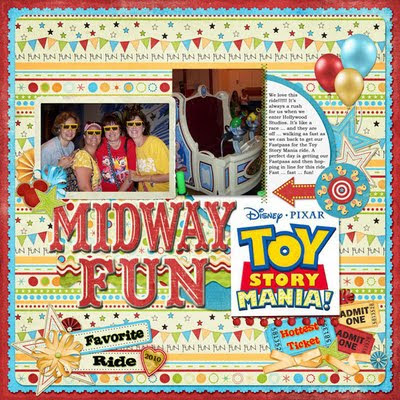 I just finished a template challenge at MouseScrappers. I've been away from my favorite site for a while. Happy to be back! This Template Challenge is hosted by Teri and she gave us an awesome template. Here is my layout ... Jackie, this one is for you! One of my absolute favorite things at Magic Kingdom is Mickey's PhilharMagic. 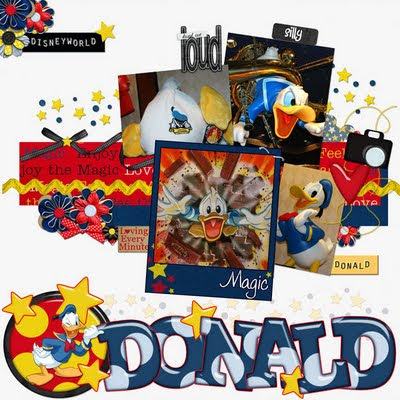 It's a 3D show that highlights Donald Duck. It is awesome! These pictures were taken at the store you enter after the show. Thanks for dropping by and have a wonderful week! 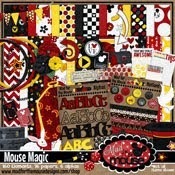 It's been a busy time here, but I had time to participate in a Weekly Challenge at MouseScrappers hosted by Tanya. We were to make this layout with a kit we had never used before. I decided to use Cindy's Layered Templates - Set 98 by Cindy Schneider and a super cute kit called Hollywood by Britt-ish Designs. 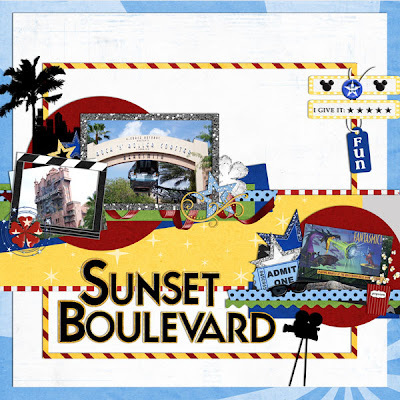 This is one of my favorite streets in Hollywood Studios because it has some cute stores and ends with Rock-n-Roll Rollercoaster and Tower of Terror ... two of my favorite rides!! It's that time of year.... for sun, sand and surf! No matter if your adventures take you to the East Coast... The West Coast... Disney's Beach Club... or the neighborhood pool... you're 'shore' to love creating pages with Keystone's sweet new beach kit! Created using a soft ocean side color palette of pinks, purples, blues and yellow shades, this kit will be sure to please! 18 papers and over 50 elements...including some adorable little swimmers will be sure to compliment any summertime page! There's even a full alpha included! Purchase Toes in the Water this week.... and receive the matching cardstock papers for FREE! 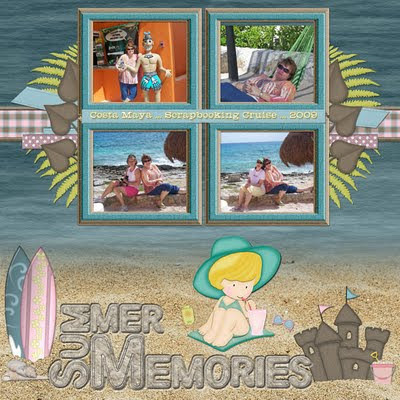 Take a look at what I created using this fun new kit! 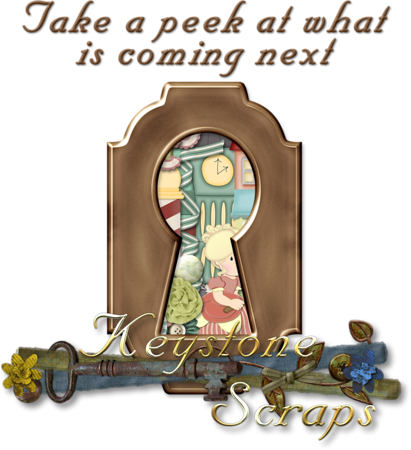 Did you pick up the prize that Keystone supplied for Patty's (nadauh) weekly challenge at Mousescrappers last week?? If not... you can still get it! 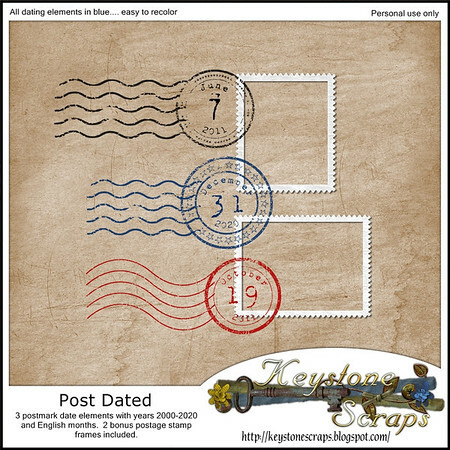 Post Dated has also been added to the store! Its a fun way to date all your pages! All the elements were created in blue.... but they are very easy to recolor and match your pages! Also included are 2 stamp frames... so you can make you own stamp to cancel! To thank you for stopping by... I made a summer beach border for you! I used this in one of my layouts posted above ... just click the preview to download. I hope you like it! Be sure you stop by the other CT girls blogs and see what they have for you as well! Just finished this template challenge from MouseScrappers and hosted by Jo! She gave us an awesome template for this challenge ... here is my layout! 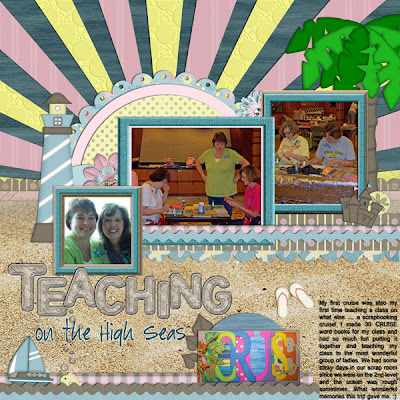 For this layout I used Carnival Thrills by Julie Billingsley and SSTools-Styles-Neon 9201 by Melanie Johnson. Now that school is out and you're hitting the beaches and water parks, going on cruises, or hanging out at the pool ... come back Wednesday and see what Keystone Scraps has for you! Those layouts will be a breeze now! 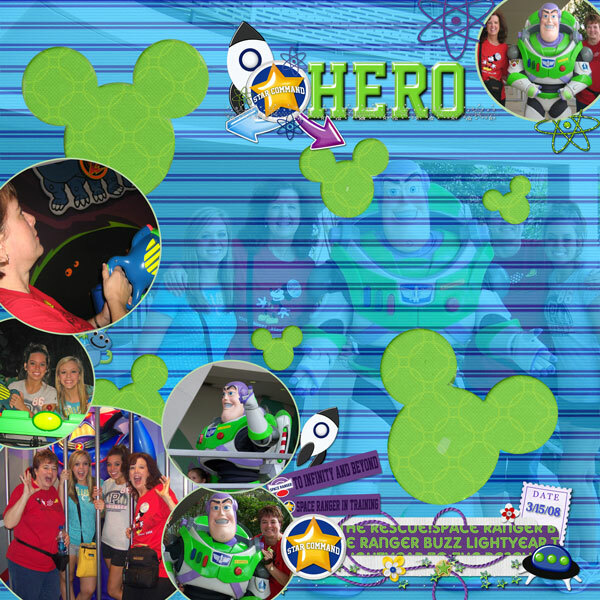 This layout is from a wonderful trip I took in March of 2008 to see my sweet niece and her best friend perform at Universal with their performance choir. 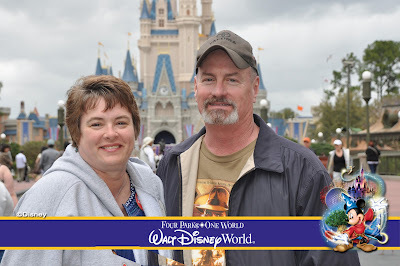 After that we stayed at Disney for a few days and toured the parks. It is a trip that I will never forget and always have magical memories of! I used the template by Jenn's Creations for Template Challenge #67, Friends to the End Kit and WordArt by Kellybell Designs, and Basic Date Stash by Britt-ish Designs. 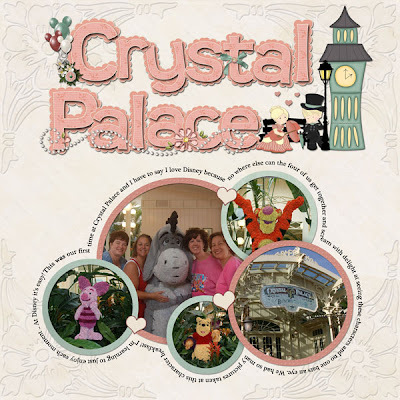 I used Hocus Pocus and Toil & Trouble by Just So Scrappy, Huey's Uncle by A Grieving Mommy & Natalie's Place Designs, Colorful Kingdom Alpha by Kellybell Designs, and Spooktacular Freebie by Designs by Danyale. I've been away for a while and haven't been participating in the challenges at MouseScrappers for a bit. My dad was in the hospital and I have just now gotten back to my routine. 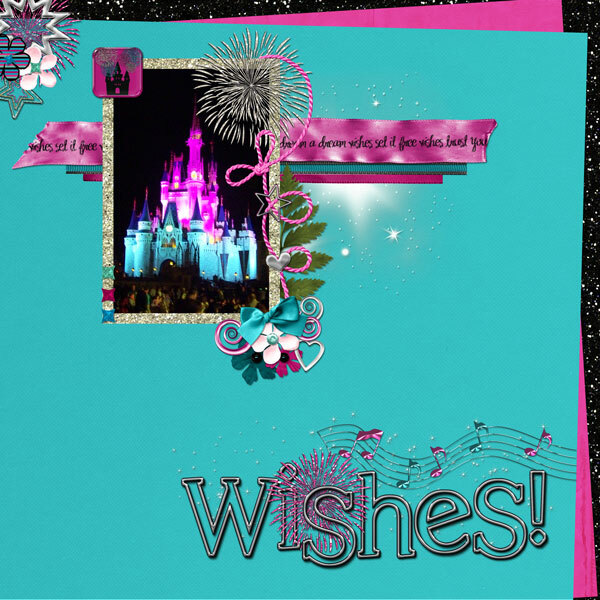 Here is a layout I did for a Scraplift Challenge at MouseScrappers ... hosted by Britt. She had us go to a gallery of paper scrapping layouts and pick one to scraplift. 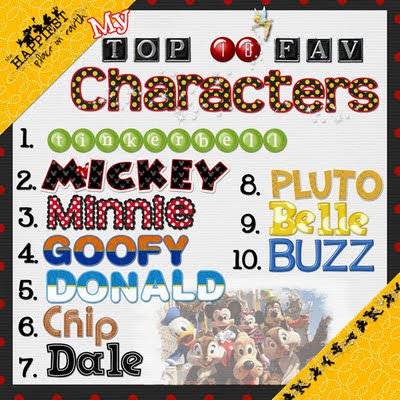 I saw one where it showed Top 10 Disney Favorites like Fantasyland, Monorail, Character Meals, 'Ohana's (definitely in my Top 10), etc. ... so I came up with My Top 10 Favorite Characters. 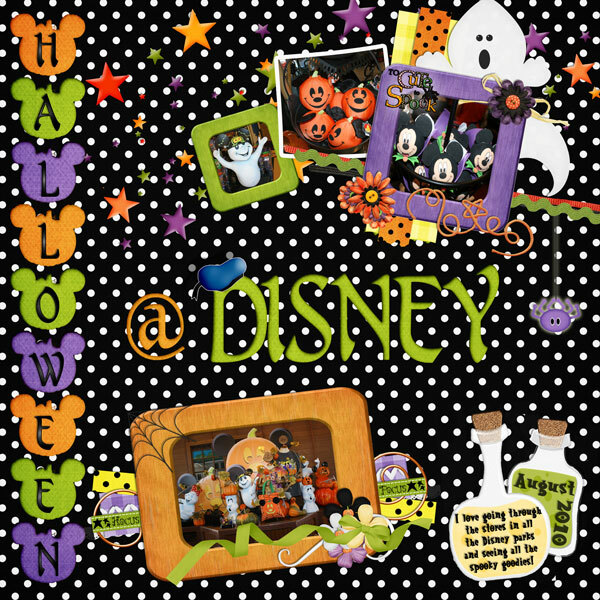 Pixie Dust Sampler, Easy Titles Vol. 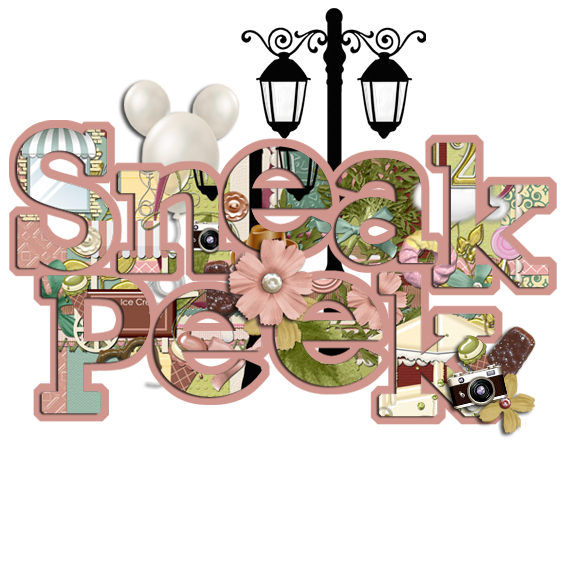 1 Freebie, & That Covers It by Kellybell Designs. I told you there were alot!!! Thanks for dropping by! As you walk through the entrance into Magic Kingdom and stand in the middle of Town Square, you can't help but gasp at the beauty of Main Street as it leads your eye towards Cinderella's Castle. It just takes your breath away! Inspired by Walt Disney's childhood and Lady In The Tramp, Main Street's decor is early 20th-century small town America. You can browse up and down Main Street, stopping in the shops or grabbing a quick bite. Just the thought of standing in the middle of Main Street as you start your day at Magic Kingdom is enough to give you goosebumps!! 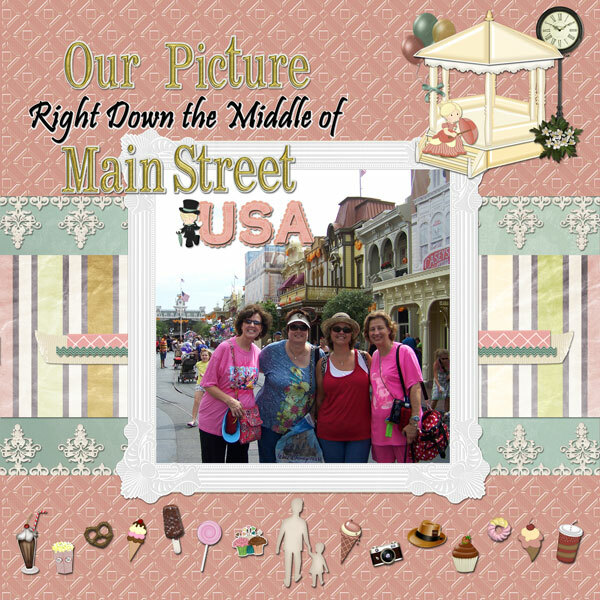 These kits really capture the old fashioned elegance and tradition of Main Street. The color scheme of peach, green and cream blend well with all the quaint shops and eateries. 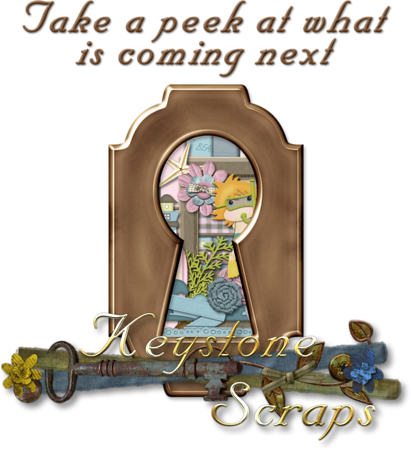 Kellybell's kit features 10 papers and over 45 elements along with a full gold alpha. Keystone Scraps kit features 20 papers, a full scalloped alpha and over 70 elements. 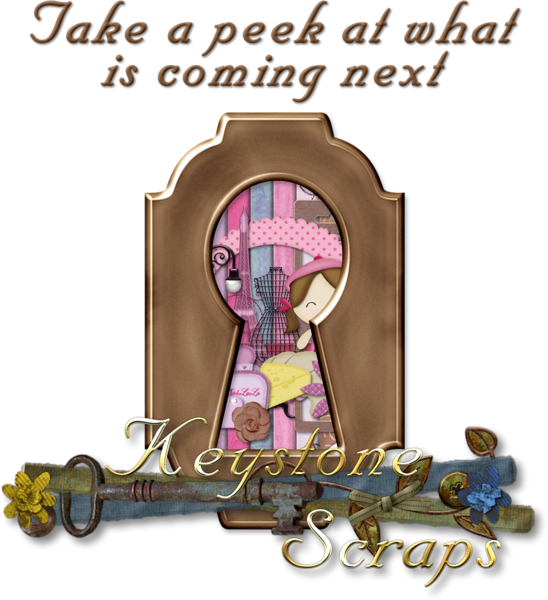 The kits are sold separately in Kellybell's Store and Keystone Scraps Store. Both kits are on sale at 25% off thru Sunday night! So be sure to pick them both up! Take a look at what I scrapped with these beautiful kits. 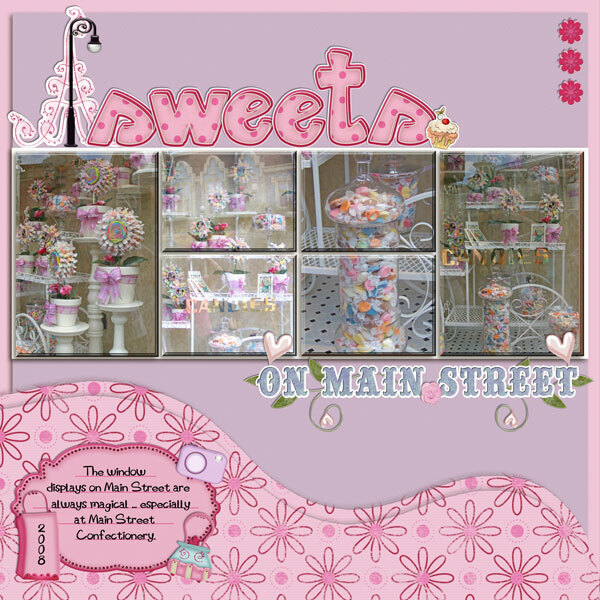 I used both kits for the above layout and I also used Coming Full Circle Template by Chelle's Creations. I used both kits for the above layout ... 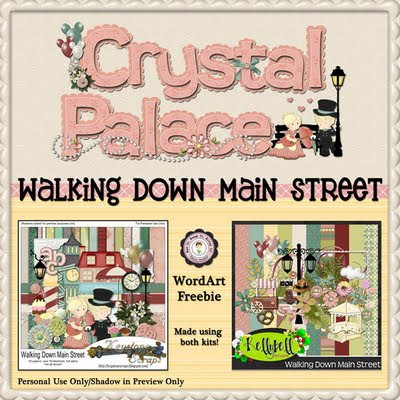 I love scrapping with these kits and found myself singing "Walking Right Down the Middle of Main Street USA" the whole time. 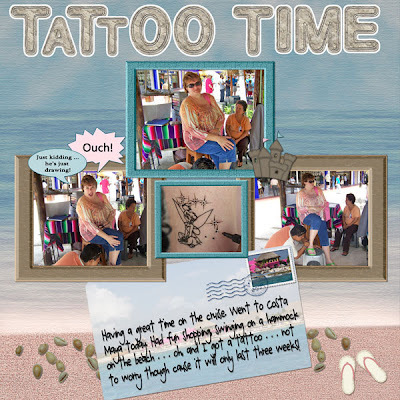 As a special bonus to you, both Creative Teams have gotten together to offer you a blog train full of word art. Make sure you stop by each member's blog to grab your goodies. In the end, you'll have a fabulous set of word art titles!! You should have arrived here from Donna's blog. Next stop will be Jo's blog. If you get lost along the way, the whole train is listed below... so just hop back on track! Enjoy the train ride and happy scrapping!! 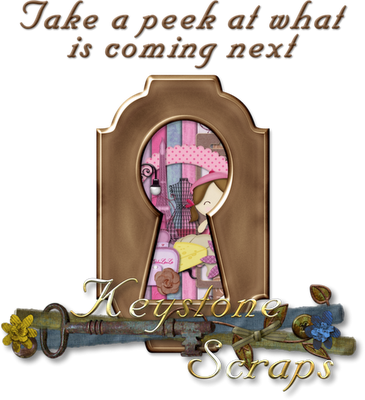 Magical Sneak Peeks from Keystone Scraps and Kellybell Designs!! !